My first encounter with Bruges was actually from the Collin Ferrell film: In Bruges. Before that, I did not even know it existed. But, I was naturally amazed by the preserved medieval architecture and the canals. I mean who wouldn’t be. 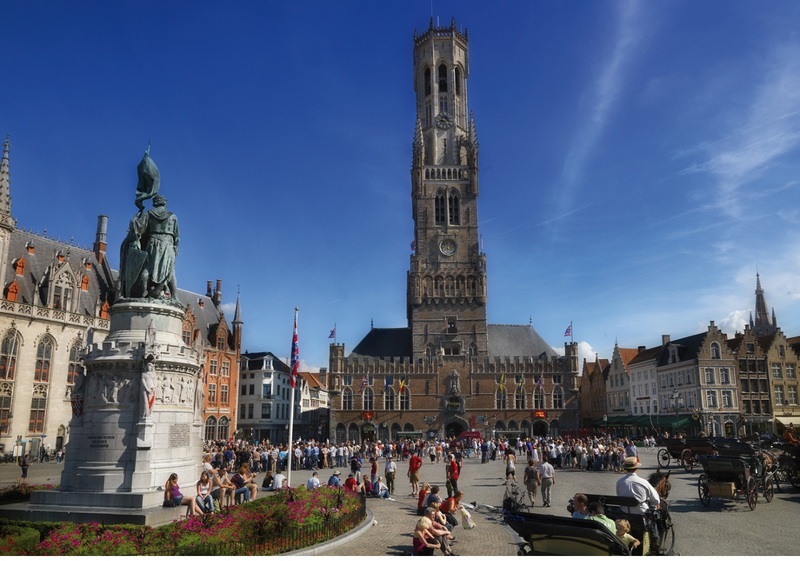 So, that is when the planning began, to start saving for a trip to Bruges, even if it would only be a small one. It finally happened and I spent a couple of nights there in the spring break, which isn’t enough, but still enough for the moment. I would definitely like to go back someday for a more thorough visit. But, here are the top 5 places which you really need to see. Before you start, I would highly recommend making a detailed plan of the route. I will be honest here and admit my soft spot for cities with canals around the world. It may be the most downright tourist thing to do, but you cannot go to Bruges and not traverse the Canals. You can take one of the Canal trips or have a quieter and personalised experience. I like things to be quiet, but it isn’t very difficult to get some peace and quiet, especially if you plan the things just right. So, yes you have to make the journey down from Spiegelrei towards Jan Van Eyckplein. I can’t still pronounce them right. So, just tilt back in your seat and enjoy the serenity as the medieval architecture passes by. Markt is where all roads lead to, or at least used to lead to. This is the heart of the medieval portion of the city. It is a magnificent sight to behold and the horse drawn carriages leave little to imagination of how things could have been in the past. If you let your imagination go free you can still almost see the hustle and bustle of the medieval Flemish life. However, not all the building are from the original Markt. But, the mixture has an attraction of its own. To the south side is the famed Belfry tower, which interestingly was started back in 1248. The tower itself is a part of the Halle, which has a courtyard of its own. If you are up for it, the 366 climb up the tower is worth the view from the top. Bruges has one other square in the form of Burg. 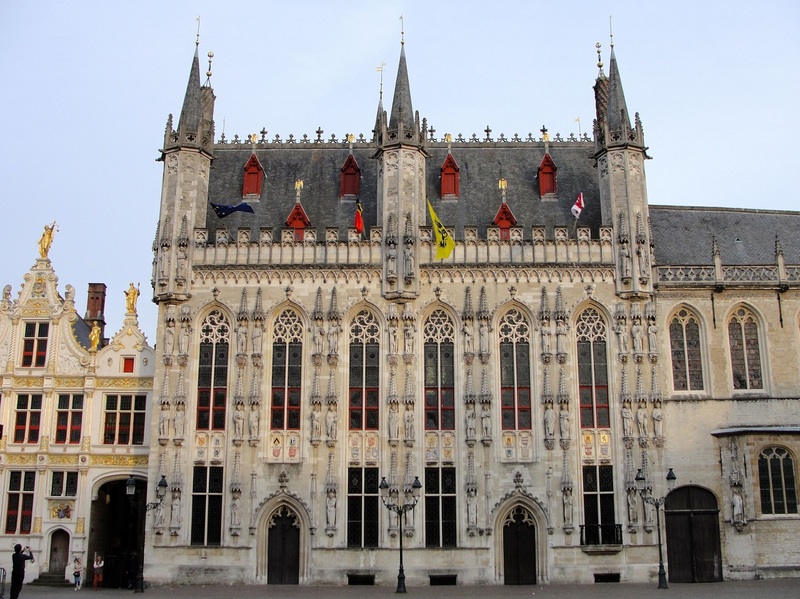 And Burg contains an excellent display of Gothic architecture in the form of Basilica of the Holy Blood. Whether you are religious or not, I cannot recommend this one highly enough. With its beautiful facades and the monumental staircase which connects to the upper chapel it is a sight to behold. The town hall is very close to the Basilica and is a definite sight to behold. Another dominantly Gothic building, it has been a part of Burg since the 14th century. The Gothic Hall inside is a treasure as well. 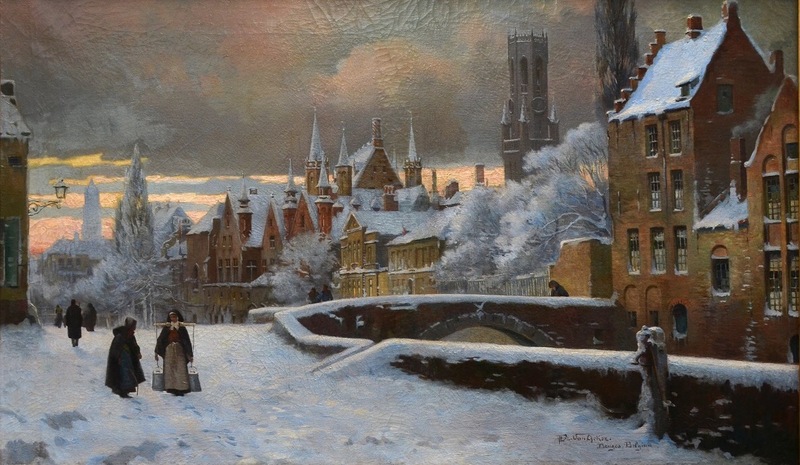 There are a couple of museums to visit in Bruges, but if you have limited time then Groeninge is the one to choose. It will fit well with the above destinations and is accessible from the Djiver Canal as well. 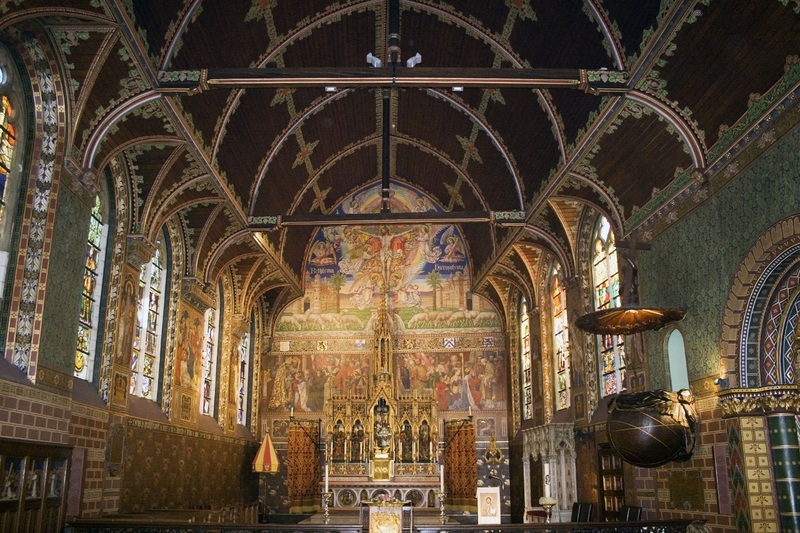 Plus it contains a whole range of Old Flemish paintings. This cannot come more highly recommended. There are many other places to visit, but you can only fit in so much in 2 days. If budget isn’t a problem, you can dine at the Markt for an added view and some local cuisine. For accommodations, I would recommend coursing through Airbnb, for a relatively cheap accommodation near the historical center. I was lucky enough to find one under $50. 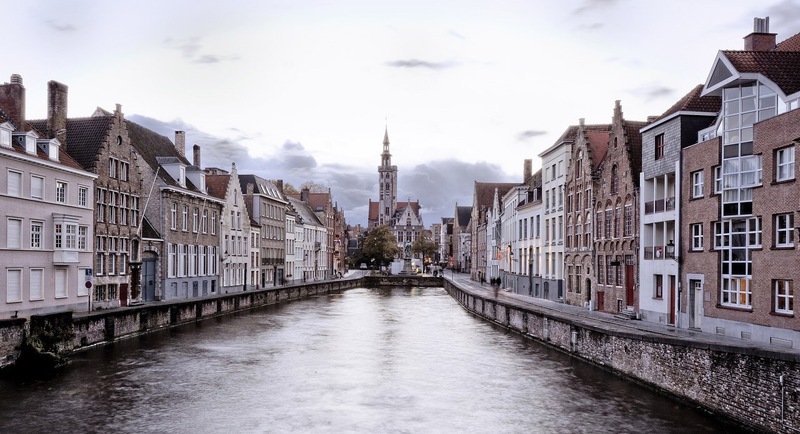 All in all, Bruges is an excellent place to visit for its incredible Medieval architecture and the canals are the cherry on top.